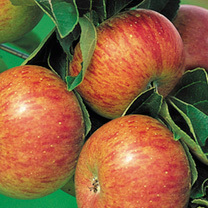 There is nothing sweeter than popping into the garden and picking your own apples from Suttons Seeds range of Apple trees which come from established rootstocks. 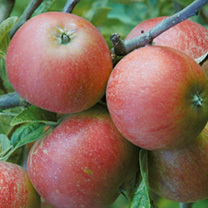 There are plenty of apple trees which you may want to grow such as the ornamental John Dowie orthe cider-making Charles Ross . 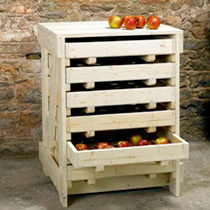 Browse our range of apple trees and try something different today. 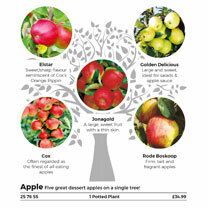 You can trust that your apple tree will be despatched at just the right time for you to successfully plant and grow it in your garden. All our trees are hardy to the weather so you can be rest assured that they will survive in all seasons. Quality guaranteed! 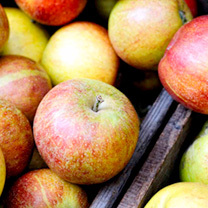 Find out if an apple a day really can keep the doctor away here. 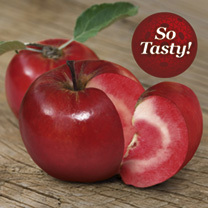 Our most popular fruit of all time. 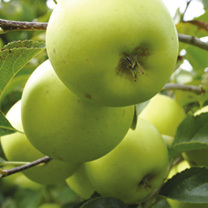 They are in fact easy to grow in your own garden, given space and the right choice of tree for the situation. Even fairly small gardens can accommodate a apple tree with the compact columnar, and dwarf apple trees that can live in large containers. They can also be grown as cordon or espaliers against a wall or fence to save space. 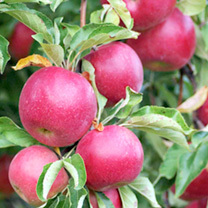 After choosing the size of your apple tree it is a case of deciding on whether you want eating apples or the more acidic cooking apple. Some varieties will fulfil both jobs, or have one of each if you have space. It may take a year or two to establish a tree, but it will be fruitful for a long, long time. Lastly if you only have room for one tree make sure you choose a self fertile variety if there are no other trees nearby. 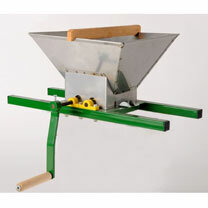 Choose an open sunny site and prepare your ground by digging in plenty of organic matter. 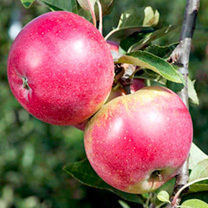 Apple trees will tolerate a wide range of soils, but avoid poorly drained areas and low spots. 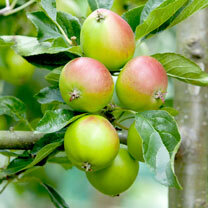 Planting apple trees is best done during the winter months, November to February being the ideal time. When planting it is helpful to put in a pipe with holes drilled in it to help with watering the deeper roots. This will discourage shallow rooting. 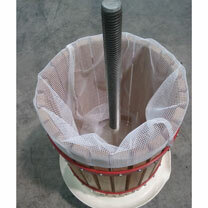 Ensure that the join where the tree has been grafted is above soil level when planted, and firm in well. 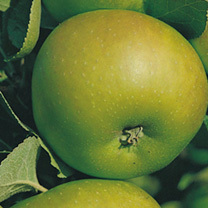 Apples will need the fruitlets thinning to encourage good sized quality fruit. 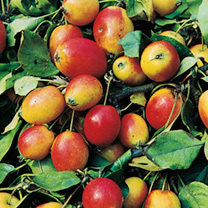 In early July, after the 'June drop' of tiny fruit, remove the central or 'king fruit' that is low quality and misshapen, reducing each cluster to one or two fruits. If this is not done the fruit yield will be higher, but the fruit will be very small and there may not be a crop at all the following year. 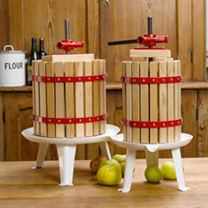 As the weight is reduced so is the danger of broken branches from too much fruit. 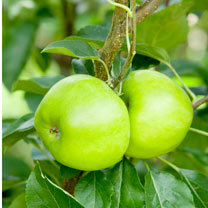 Apple trees are ready to harvest when the apple come away from the branch with just a light twist. Be careful not to bruise them during this time to prevent them rotting.